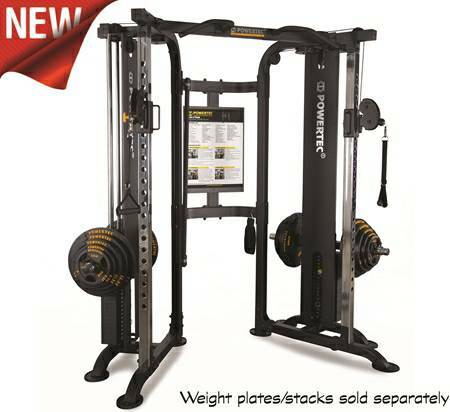 The New PowerTec Functional Trainer Deluxe is an expanded version of the original Functional Trainer. Due to it's new design, the load capacity has been increased, it's new load capacity can now be maximized to 1,000 lbs. This system delivers extraordinary performance. The Twin Tower Column Structure has been designed to provide users easy, efficient and safe access. This allows for the Functional Trainer to be upgraded with Two Selectorized Stack Weight Systems. The combination of the Easy Plate Load Slide Rods and Smooth Cable System provide precise gliding and smooth operation, it also features Ring Stoppers designed to stop the weight carriage from traveling to undesirable distances. Two Weight Stack Plate Options! Comes standard with Free Weight Plate loaded carriage system. * Optional 190 lbs. 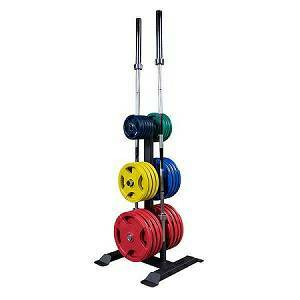 Weight Stack Plates are available as an Add-On for the Functional Trainer Deluxe. This upgrade can bring the Weight Resistance Capacity to 500 lbs. per Side for a total of 1,000 lbs. of resistance. Can be used immediately with your existing Olympic Weights! !